Most people think that the Germans were the ones who were the first to mass-produce fast, full-size sedans. There is truth to that, since the 1968 Mercedes-Benz 300SEL with a 6.3-litre engine was a true super-sedan for a super price. However, at the same time, the Brits introduced something that was a bit more affordable. Jaguar founder Sir William Lyons had been contemplating a car like this since 1964. "Mr. Jaguar" wanted to produce a car that was completely in line with what was then the Jaguar slogan: "Grace, Space and Pace". It was supposed to be a large sedan which could keep up with the E-Type, but that was also on par with a Rolls Royce in terms of comfort. And the gentleman who bought the car should feel equally at ease, whether behind the wheel or on the back seat. Sir William Lyons already had one of the more important elements needed for this car – the engine. The XK120 that debuted in 1949 was the first Jaguar with the new 3.4-litre inline-six engine. This XK6 engine later became one of the more notable engines in automotive history, being used in various models for almost 40 years, right up until 1987. The "120" in the XK model was not by chance: with its 160 hp engine, the 1949 XK120 could break 120 mph, which was no joke at the time. So they already had an engine, and Jaguar also knew how to produce fast sedans – the medium-size Mark 2 S-Types were even notorious among criminals as excellent getaway cars. All Sir William Lyons had to do was put all of this know-how into the last and most important car project of his life – the Jaguar XJ. The Jaguar XJ6 came out in September 1968 and completely met his expectations. "The finest Jaguar ever" looked graceful and was a quiet and comfortable drive, as befits a large sedan, but most importantly, it handled as well as a sports coupé in terms of dynamics and precision. And although it might be hard to imagine now, in those days everyone used to describe Jaguars as being reasonably priced. They weren't cheap, but they gave you more bang for the buck than was usual back then. This was also the mark of the E-Type coupé, which was just as good as an Aston Martin or a Ferrari but cost 2–3 times less. The press also raved about the new XJ6 four-door sedan: "if they doubled the price it would still be a great buy" (Road Test, December 1969); "If you do not intend to buy a XJ6, don't try one, for ordinary cars will be spoilt for you thereafter. This is a very special kind of motoring" (Autosport, 6 August 1970). The standard Jaguar XJ6 with 2.8 litres and 140 hp was made for Europe (this version was not sold in the US), and the XJ6 with 4.2 litres and 173 hp could hit 125 mph, making it one of the fastest sedans in the world. And that wasn't all. In 1970, Jaguar already had a new, 5.3-litre, 265-hp V12 engine that was designed for the Jaguar E-Type, but was also a perfect fit for the XJ. Thus, the production 12-cylinder XJ12 came out in 1972, which could even beat the Mercedes-Benz 300 SEL 6.3 in a straight line. Given, the XJ12's top speed of 140 mph was a reminder of why the XJs had the unusual feature of twin fuel tanks in the rear wings – the 20 l/100 km fuel consumption was nearly standard, but before the oil crisis, few even cared. Right from 1968, the Jaguar XJ was a sales hit – the manufacturers didn't really even need advertising because they sold everything they could produce. By the way, there were badge-engineered versions for those looking for something unique: the Daimler Sovereign (2.8-litre and 4.2-litre 6-cylinder) or the Daimler Double-Six (5.3-litre V12). Aside from the fluted radiator grille, the Daimler was actually no different from the Jaguar, but Daimler was a slightly more noble brand, so it cost more. Incidentally, Jaguar was unable to use the Daimler name in the United States, so these versions were sold as the Jaguar Vanden Plas there. However, about halfway through the 1970s, Jaguar's success ran out of steam. Jaguar could beat Mercedes in a straight line, but not in building quality. Poor management at the British Leyland group (which already owned Jaguar at that point) and the precarious financial situation had a negative impact on Jaguar's quality. And the second generation model that was produced in 1973–1979 (which visually was nearly identical to the first generation) cast a shadow on Jaguar's reputation that took decades to restore. This unfortunate Leyland period prevented one of the most beautiful coupés ever – Jaguar XJ-C – from getting the recognition it deserved. The prototype for the XJ coupé was actually first shown in 1973, but for various reasons (such as the oil crisis and the mess at Leyland), it only went into production in 1975. Yet despite the long preparation, the XJ-C was not complete when it hit the market. The pillarless side windows suffered from water leaks and wind noise, and the vinyl roof was standard not in terms of design, but because without pillars, it moved around so much that it caused the paint to crack. 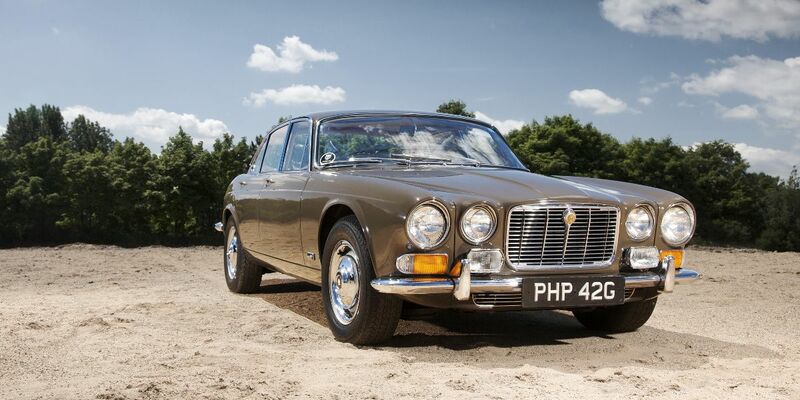 Consequently only 10,426 Jaguar XJ-Cs – including the Daimler versions – were built by 1978. Jaguar apparently didn't see much potential for this version of the XJ either, since it introduced the E-Type's successor, the XJ-S grand tourer, in 1976. As the 1980s approached, the XJ's lines were already showing their age, but in its dying state, British Leyland was only able to offer a facelift since it didn't have the resources to develop a new model. Thus the third generation XJ, which was not very different from the second. Of course, this was not the freshest car in the market, but it maintained its place on the conveyor belt quite successfully: the classic XJ6 was produced until 1987, and the XJ12 even made it to 1992. In addition, Jaguar was de-merged from British Leyland in 1984, after which the quality of their cars improved and they became more reliable. 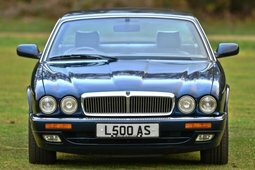 So without any substantive changes, the classic XJ was a mainstay on the production line in Coventry from 1968 to 1992 (XJ12), which was quite a bit longer than even Jaguar’s founder could have ever imagined. After liberating themselves from the moribund British Leyland, Jaguar took care of things more efficiently. The prototype for the new XJ that was begun back during Leyland times was finally completed and the all-new XJ40 materialized in 1986. That was the last XJ that Sir William Lions (who died in 1985) participated in the creation of as an advisor. And it was the first and only XJ with rectangular headlights. Also for the first time, the XJ40 range got a high-performance model – the XJR. Meanwhile, the XJ40 only got a V12 engine in 1992, because it turns out that nothing bigger than a V8 was provide for in the XJ40 project that was done back during the Leyland period, so myriad modifications had to be made to fit this kind of motor under the hood. This is why the old classic third generation XJ12 version was produced until 1992. The XJ40 was produced until 1994 and is soon to become a full-fledged classic car. The later XJs which are products of the Ford era, like the X300 and X308 (produced from 1994 to 2003), are still on the way to the world of collector cars, but the return of the round headlights and their Jaguar design ensure that they will one day become classics. The current market situation is advantageous, since there are so many different XJs on sale that anyone can find the right car to fit their budget.